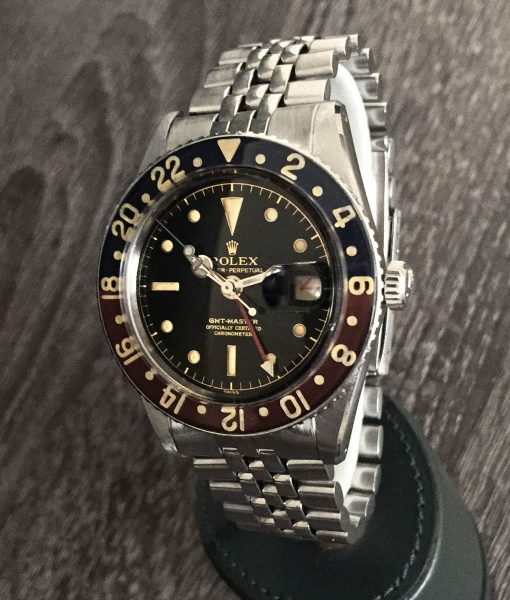 This is a Rare Model left of the Original Vintage Stainless Steel Rolex GMT Master Watch Reference 6542. 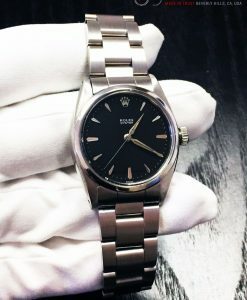 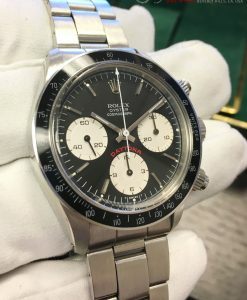 It’s the first series of the GMT, the 6542, super rare with no crown guards. 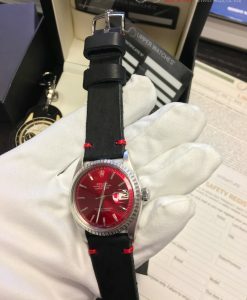 The Watch Overall is in Beautiful Condition! 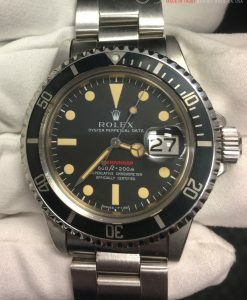 it is Running Strong and Keeping Excellent Time! 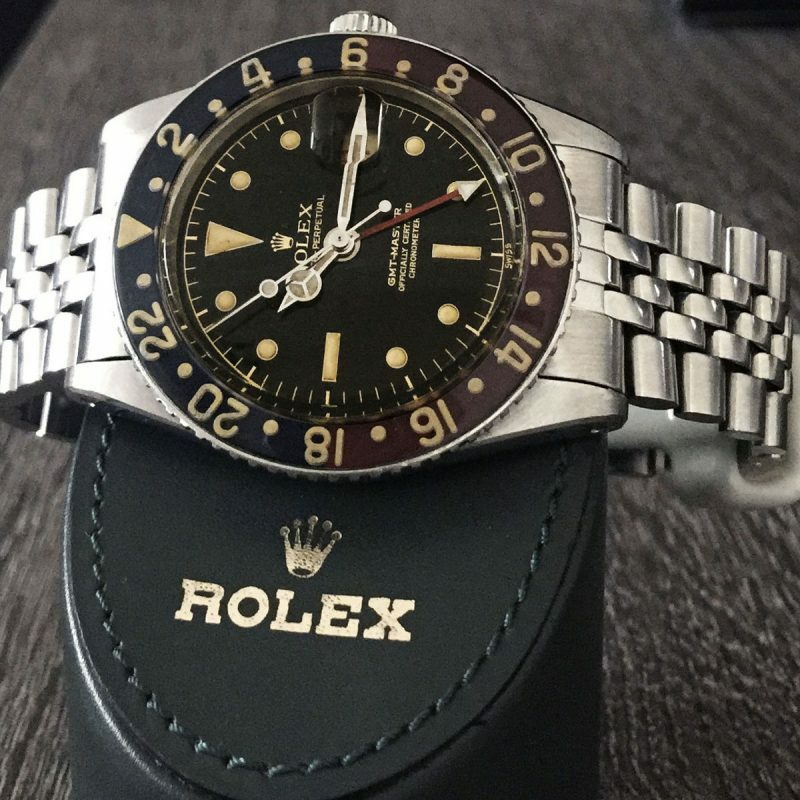 It has just been serviced in Beverly Hills. 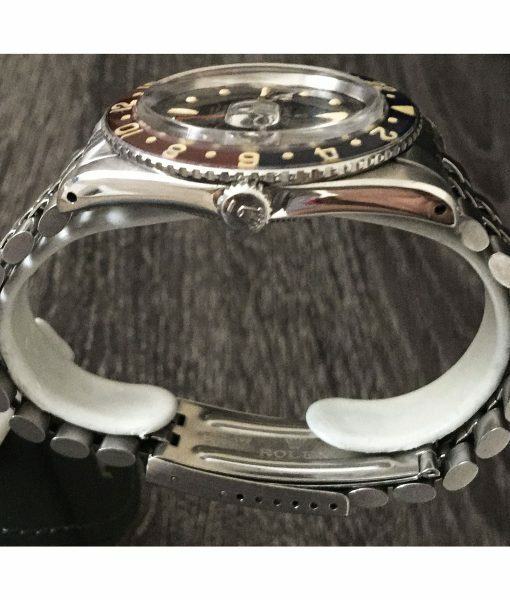 Comes with its Box. 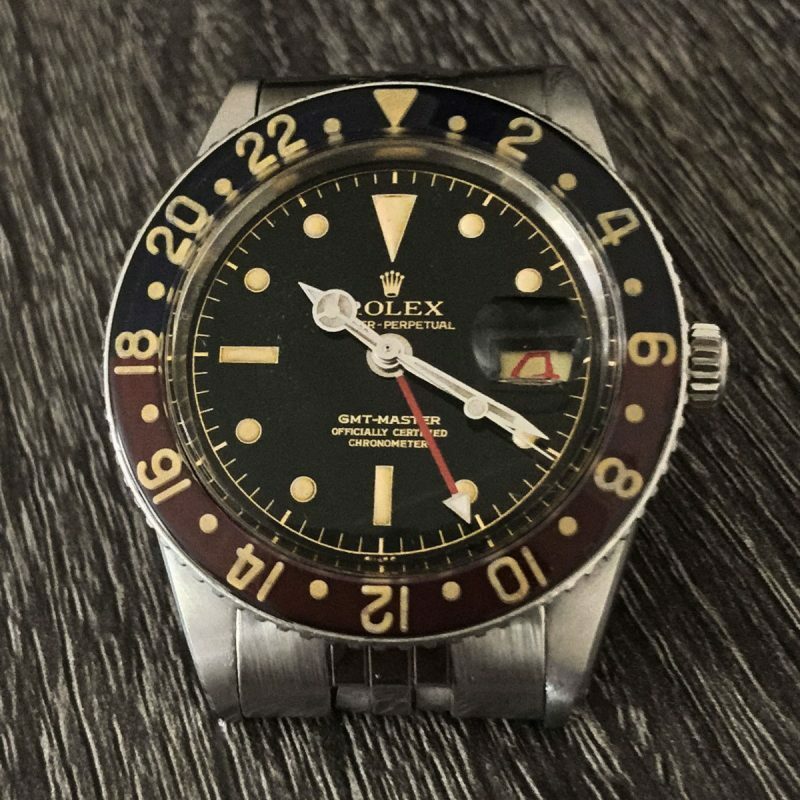 This is a Rare Model left of the Original Vintage Stainless Steel Rolex GMT Master Watch Reference 6542. 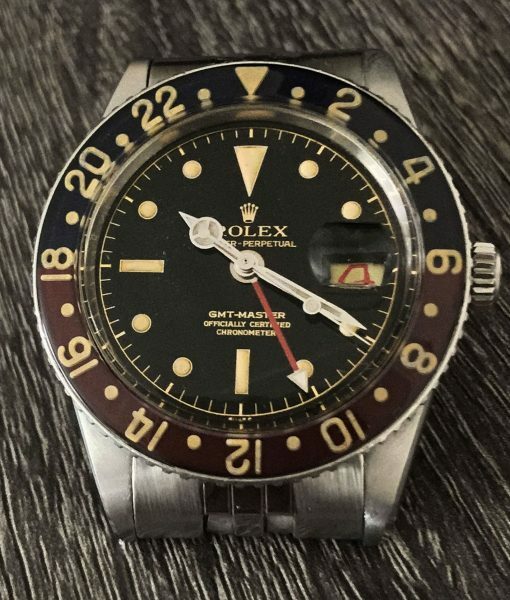 This Vintage Rolex GMT Master Watch was made in 1958 and is in Excellent Condition for its Age! 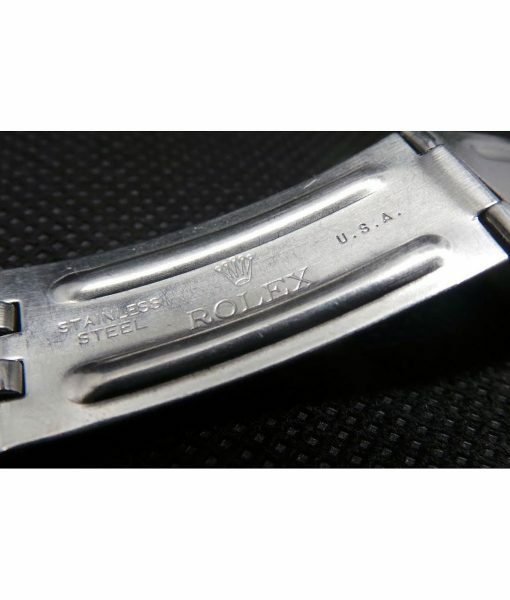 The Watch has an Original Rolex Stainless Steel No Crown Guard Case. 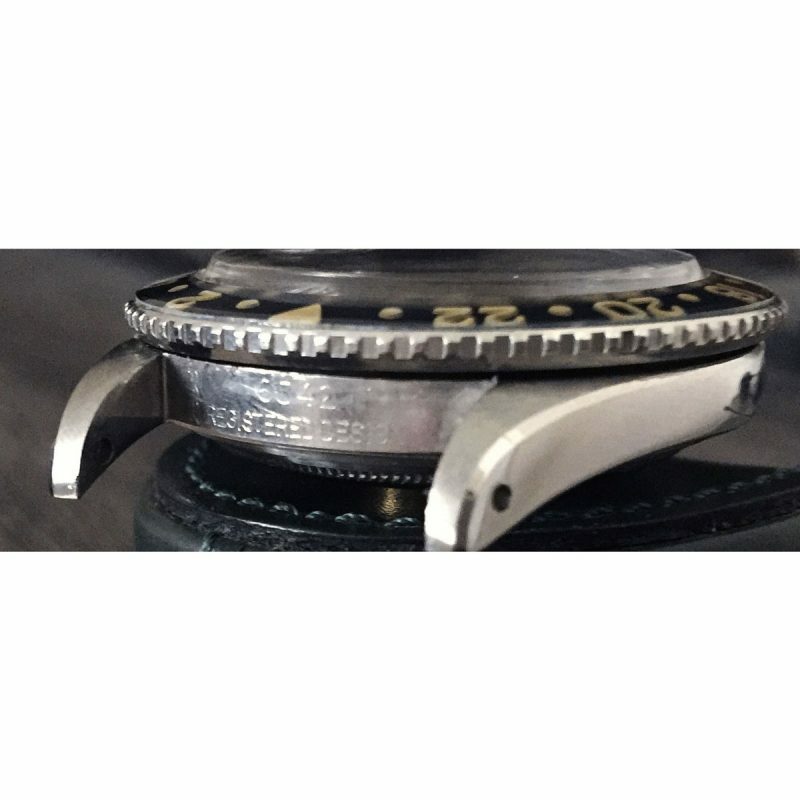 Sharp edged case. 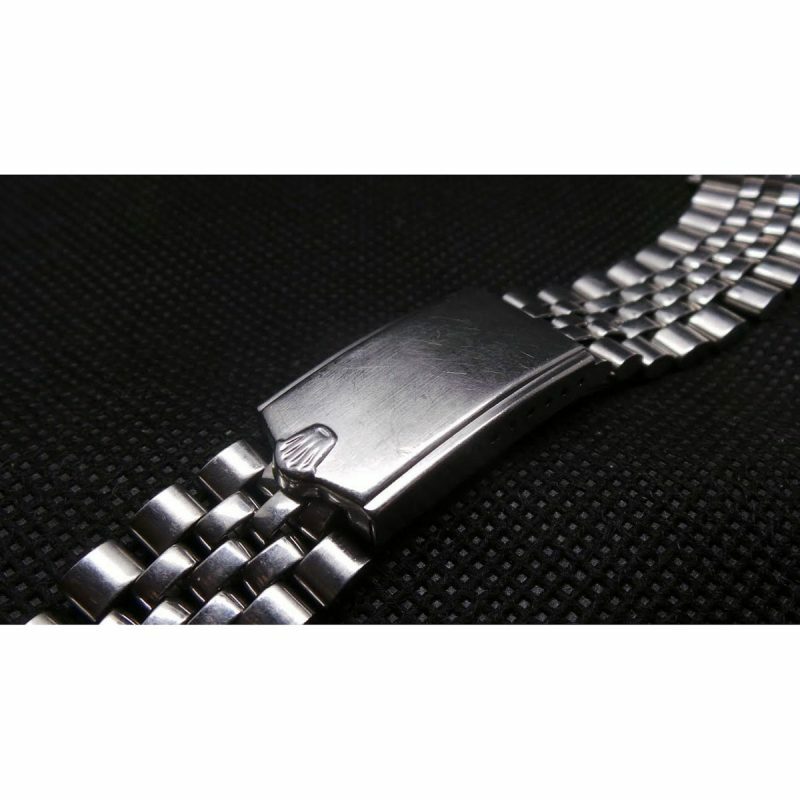 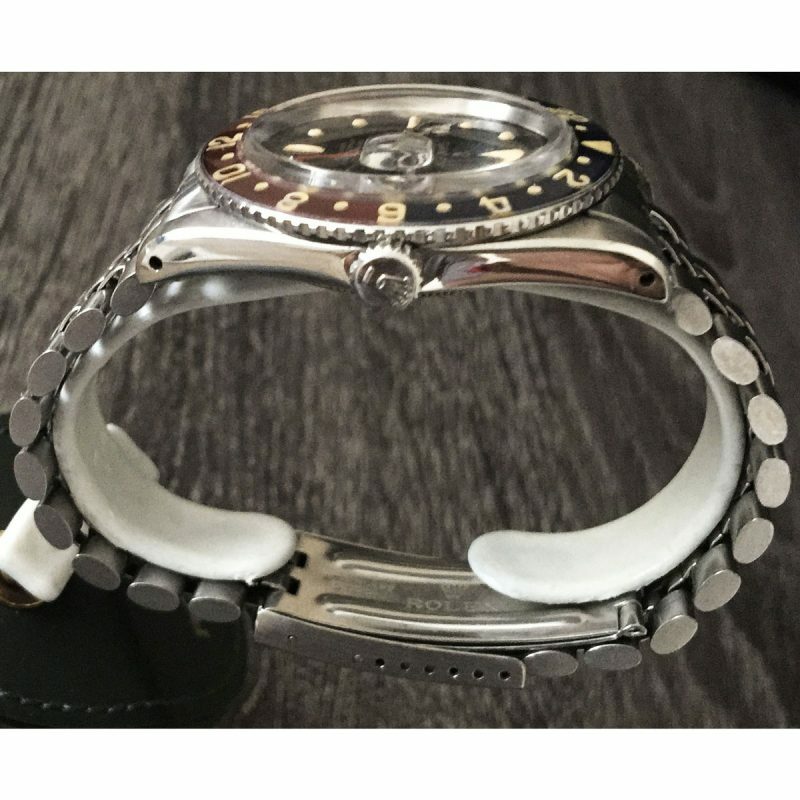 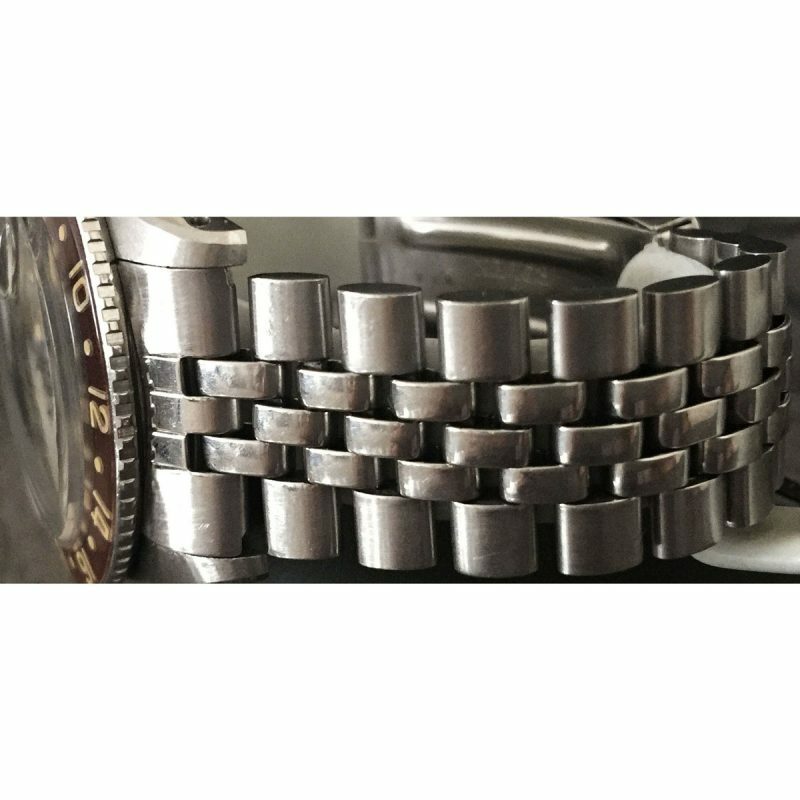 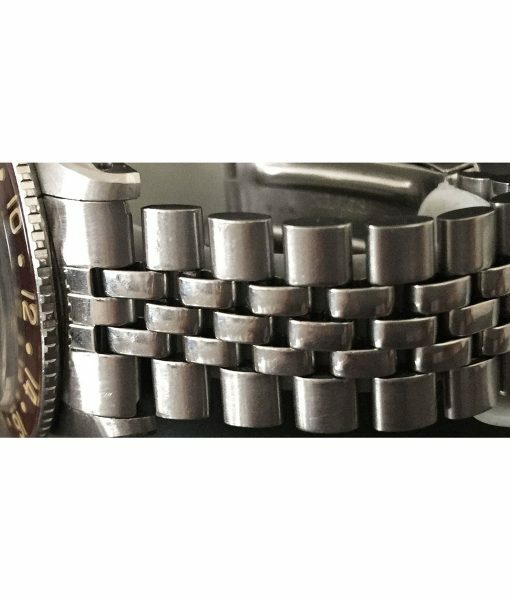 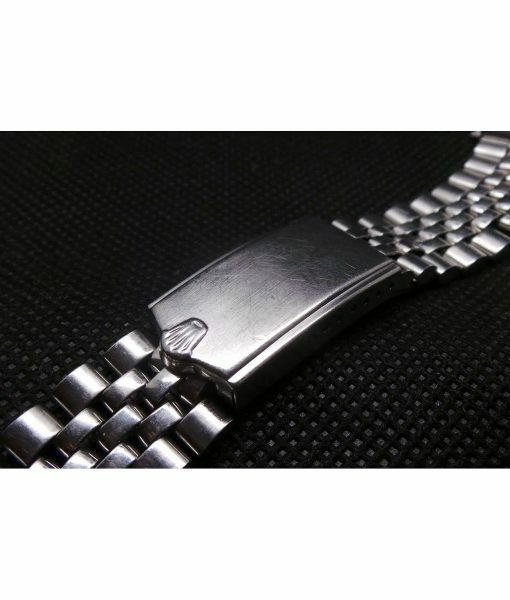 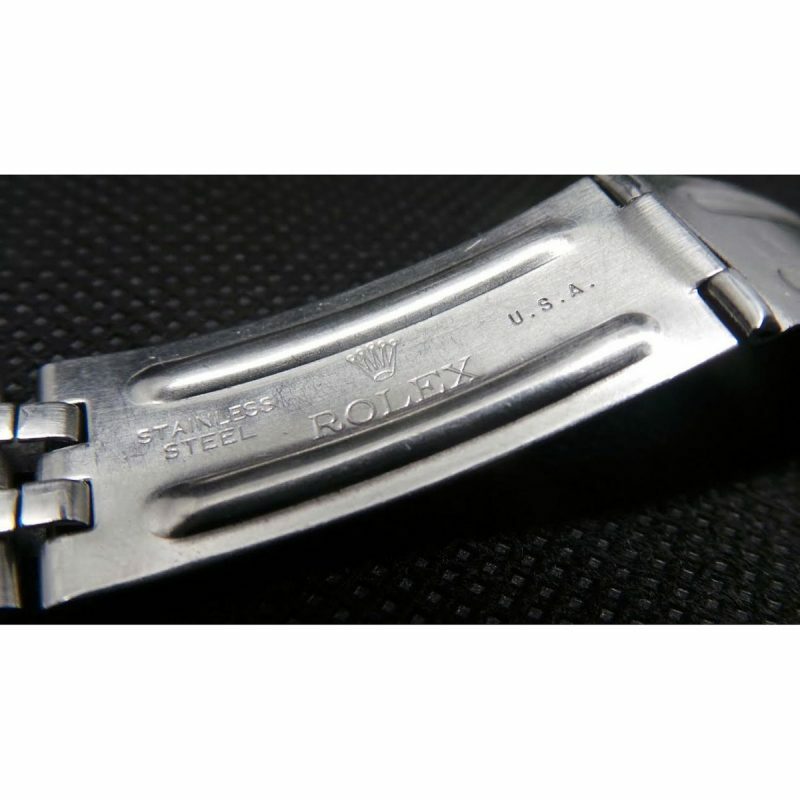 This Original Rolex Bracelet has a rare Made In USA buckle with Big Crown. 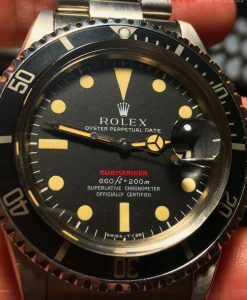 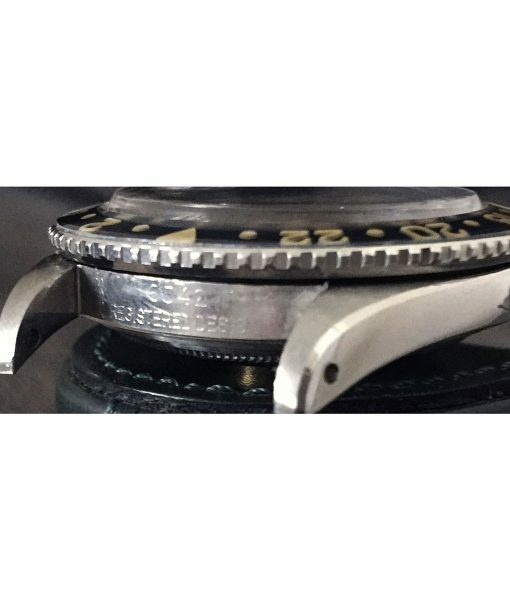 The dial is a Vintage Rolex 6542 GMT-Master Gilt Dial Professionally refinished. 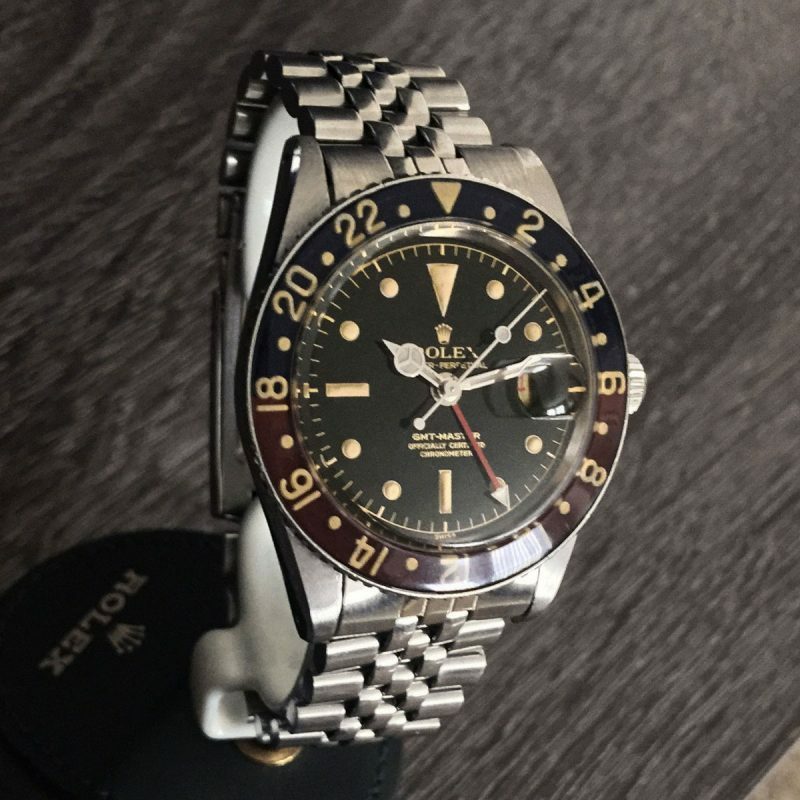 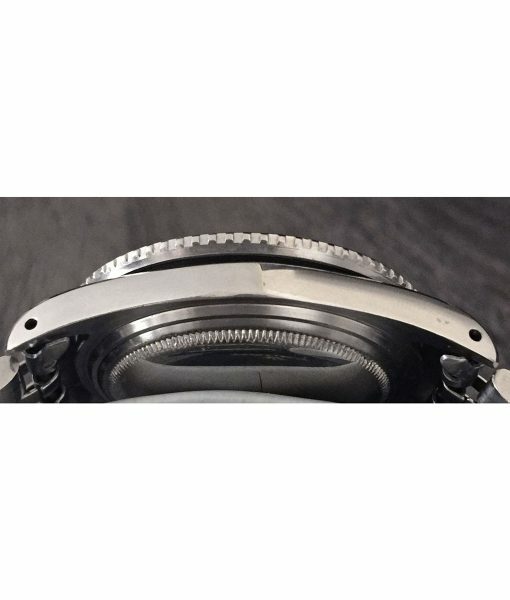 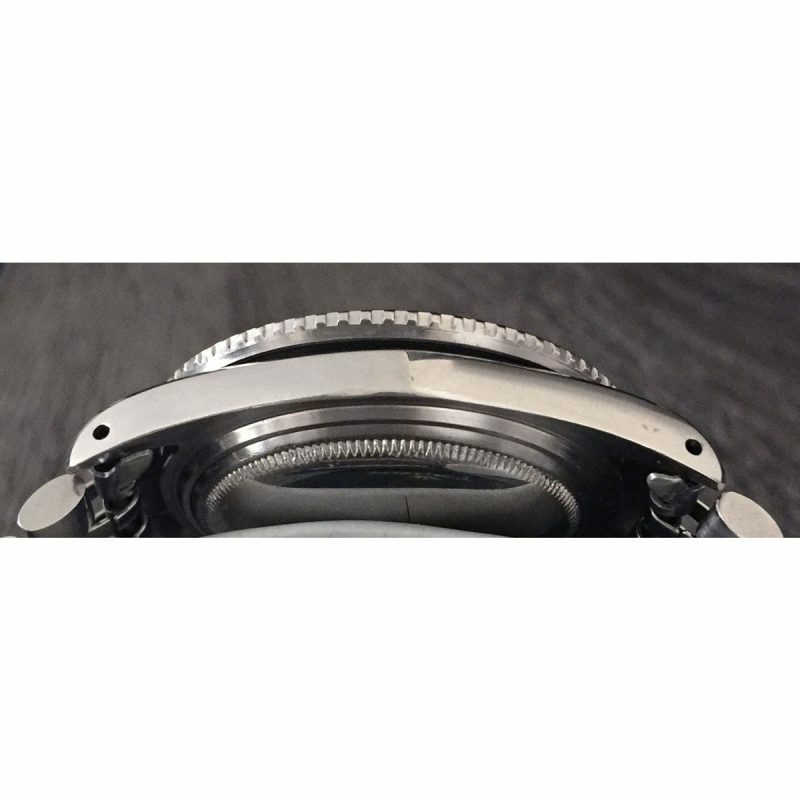 Vintage Style Aftermarket Bakelite Insert/Bezel for 6542 (Material: Brass | Nickel plated). 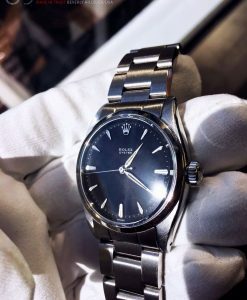 It also comes with its original chronometer certified Rolex Calibre 1035 self-winding movement with GMT function which has been cleaned and serviced so perfect working order. 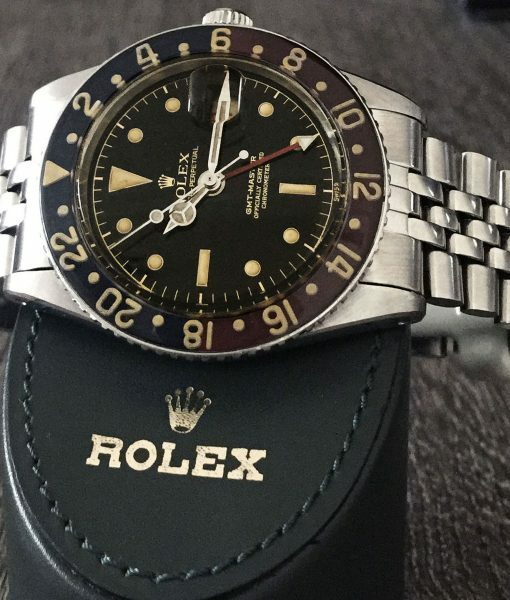 This rare Rolex is a watch that can be worn for casual and formal occasions. 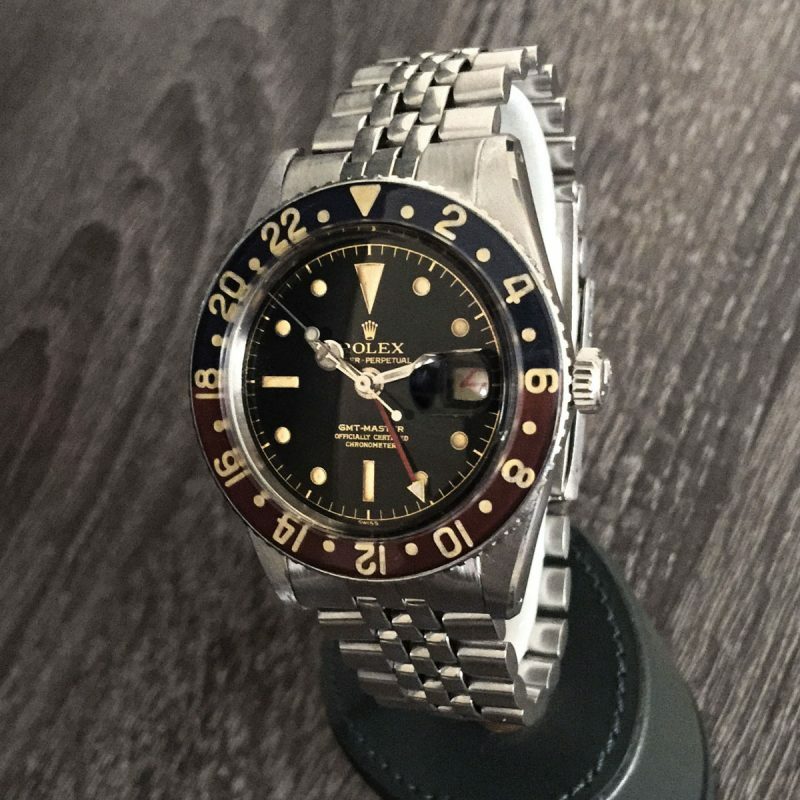 It’s the first series of the GMT, the 6542, super rare with no crown guards. 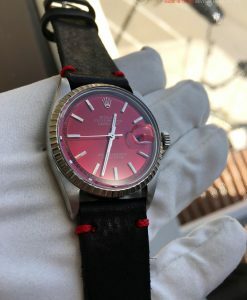 The Watch Overall is in Beautiful Condition! 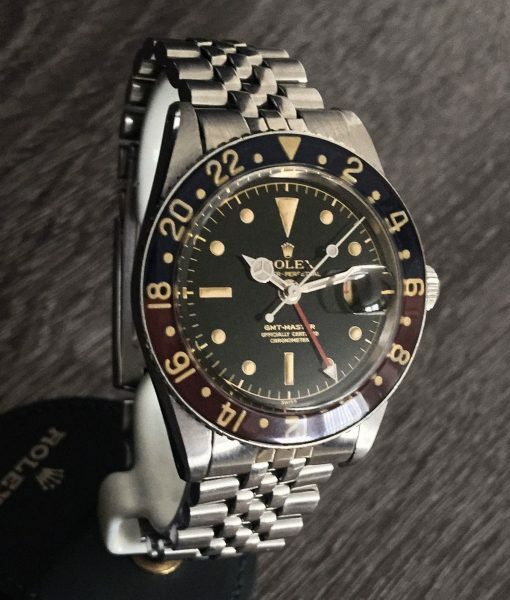 it is Running Strong and Keeping Excellent Time! 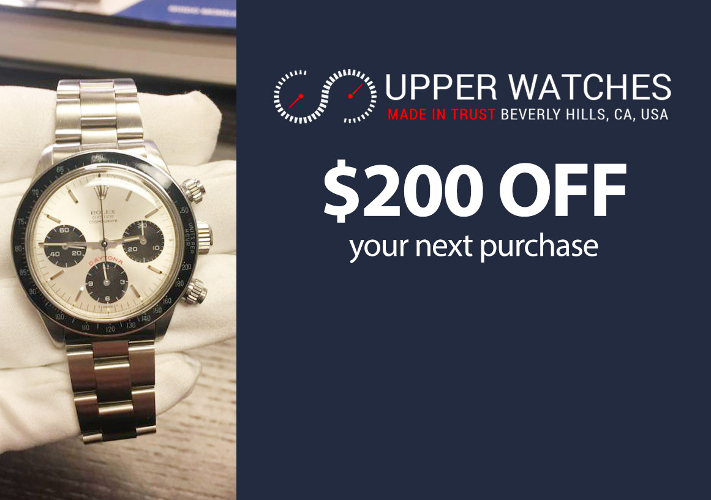 It has just been serviced in Beverly Hills. 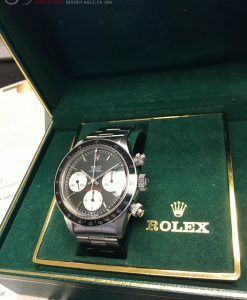 Comes with its Box.